"Japan prefectures: Oita, Tochigi & Hyogo"
On 27 January 2012, the Governor of Central Bank of Solomon Islands (CBSI), Denton Rarawa announced that the Solomon Islands' current coins will be replaced by five attractive new coins in July this year. The designs reflect what the people told CBSI they would like to see on their coins in the national coinage survey conducted in 2011. The old 1, 2 and 5 cent coins will no longer be produced. The obverse of all coins features the effigy of Her Majesty Queen Elizabeth II designed by Ian Rank-Broadley. This effigy replaces the Raphael Maklouf design used in the old coins. Each reverse of the new coins features one of four much loved designs that already appear on some of the current coins and there is a new design for the 2 dollar coin. The 2 dollar coin will feature the bokolo, an item of cultural significance for Solomon Islanders. The new 10 cent coin retains the sea spirit design that is on the current 10 cent coin. The design portrays the sea spirit Ngoreru from Temotu province in the Eastern Solomon's. 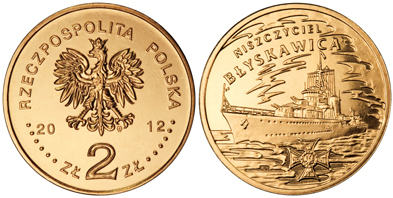 The new 20 cent coin retains the pendant design on the current 20 cent coin. The design depicts a traditional pendant design of Malaita province. The new 50 cent coin features the eagle design on the current 2 cent coin. The eagle spirit symbolises deity in various communities in Solomon Islands. 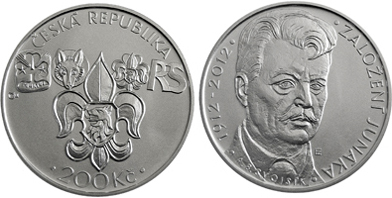 The new $1 dollar coin retains the nguzu nguzu design of the current 1 dollar coin. 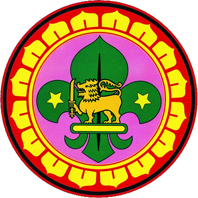 The design portrays a carving of the spirit Nguzu Nguzu from the Western province. It portrays good luck and protection. The design features a bokolo from Western and Choiseul provinces. 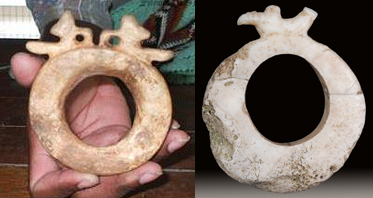 The bokolo is made from fossilised clam shells and was traditionally used as a form of money. 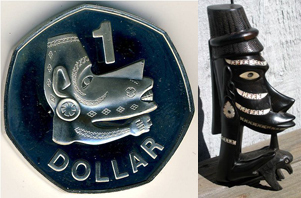 It is featured in the $2 coin and represents the many different forms of traditional money used in Solomon Islands. 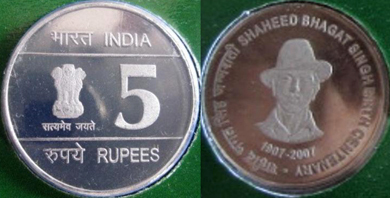 "Cities of Military Glory: Luga"
50 cents - "70th Anniversary of the Kokoda Trail"
"Birth Centenary of Shaheed Bhagat Singh"
The Bhagat Singh coin dated 2007 has finally been released by Hyderabad mint this month. The government announced that it is eliminating the penny from Canada's coinage system. In about six months the Royal Canadian Mint will stop distributing Canadian coppers. Starting in the fall, businesses will be asked to return pennies to financial institutions. The coins will be melted and the metal content recycled. In the meantime, Canadians can continue to use pennies to pay for things and the one-cent piece will retain its value indefinitely. The reverse of the first coin in this series, Styria, was designed by Viktoria Reicht from Kirchbach in Styria and features the forests, apples and pumpkins her home province is famous for. 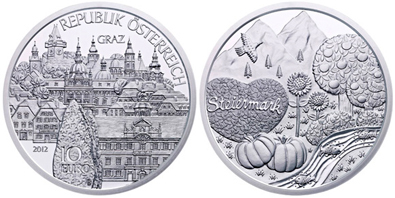 Designed by chief designer Thomas Pesendorfer, the coin's obverse shows the magical Historic Centre and Schloss Eggenberg UNESCO World Heritage Site of the provincial capital of Styria, Graz. Some of the city's other landmarks, such as its clock tower, town hall, mausoleum dome and baroque church tower, also feature. Minted and packed at the Austrian Min this beautiful coin is the fruit of the very highest production standards and comes in Special Uncirculated quality in silver and Circulation quality in copper, each with different packaging. 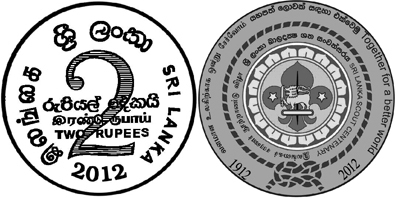 "100th Anniversary of First Olympic Medal"
"150th anniversary of the Controller & Auditor General of India"
"Centenary of the Sri Lanka Scout Movement"
The 1 & 2 dollar circulation types will see important and nice design changes this year. They will bear laser marks of maple leaves. 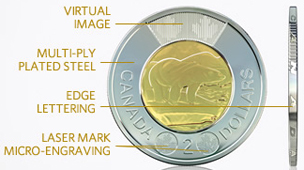 Also, instead of traditional alloys, Canada's new circulation coins are manufactured using the same Multi-Ply Plated Steel technology found in our current 25 cent, 10 cent, 5 cent and 1 cent circulation coins. This patented process covers a steel core with alternating layers of metals such as copper, nickel and brass. 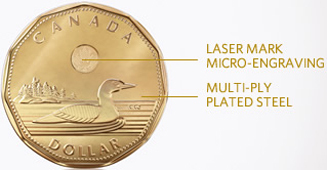 The resulting coins are more economical to produce, durable and secure. "Cities of Military Glory: Voronezh"
"100th anniversary of the foundation of Junák (Association of Scouts and Guides of the Czech Republic)"